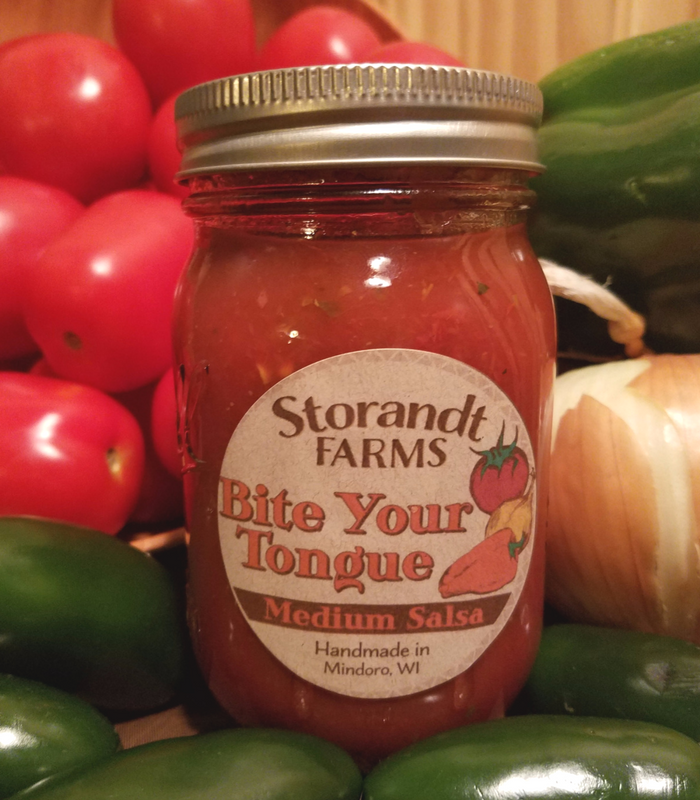 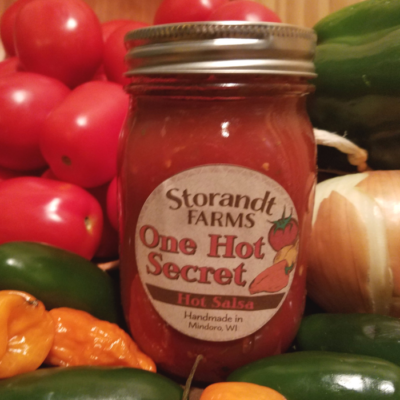 Try Storandt Farms’ “Bite Your Tongue” Medium heat salsa. 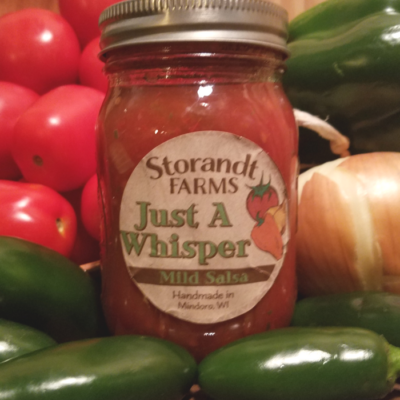 The jalapeno peppers bite at your taste buds, giving you just the right heat balance while enjoying the perfect combination of spices, chunky onions and green peppers. 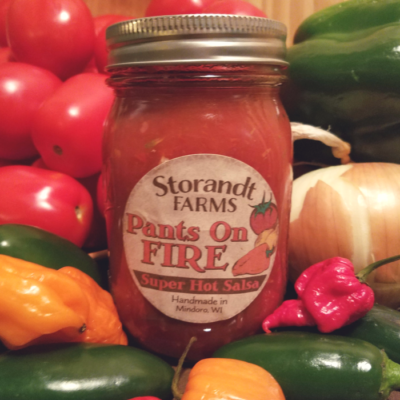 For the salsa lover who enjoys a sweet tomato salsa flavor with a little kick behind it.